Guitar, Bass, & Jam Classes. Come pick and learn May 2-4, 2019 in North Dallas. Keith Yoder – Jam Classes, & Gerald Jones – Special Classes. Keith Yoder will teach a dedicated Jam Class Track with a mixture of classroom instruction and his special brand of instructor led jamming. will both happen at the Wyndham Garden Hotel. Our music camp is geared to all kinds of acoustic music. 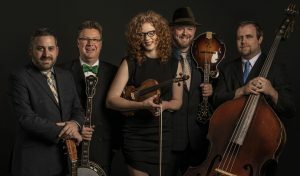 We teach bluegrass, oldtime, swing, jazz, singer/songwriter, Americana, and other styles. Hall of Fame, Stockyards Museum, the Vintage Flying Museum and more. This is a bluegrass camp, banjo camp, guitar camp, mandolin camp, fiddle camp and more all rolled into one. Acoustic Music Camp would like to thank all the organizations that generously partnered with us to send deserving students to AMC 2018! 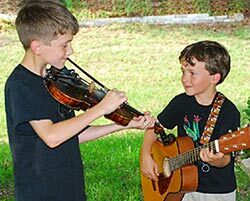 These great organizations promote bluegrass and acoustic music by providing scholarships to camps, lending instruments to deserving young pickers, and much more. Please visit their websites and support their efforts.